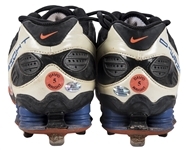 New York Mets All-Star third baseman David Wright wore these Nike Shox Fuse cleats on June 1st, 2008 against the Los Angeles Dodgers at Shea Stadium. The Mets beat the Dodgers 6-1 behind Wright’s 3-4 performance with two RBI and a run scored. Wright had arguably the best year of his career in 2008, finishing the season with new career-highs in homers (33) and RBI (124) while maintaining a .302 batting average. 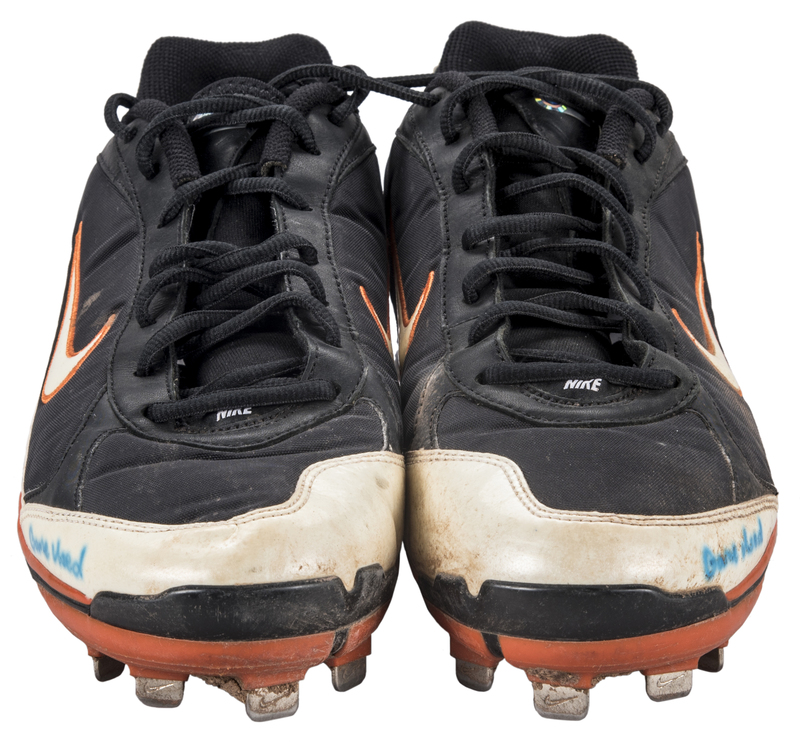 These cleats are black with white, orange, and blue accents. 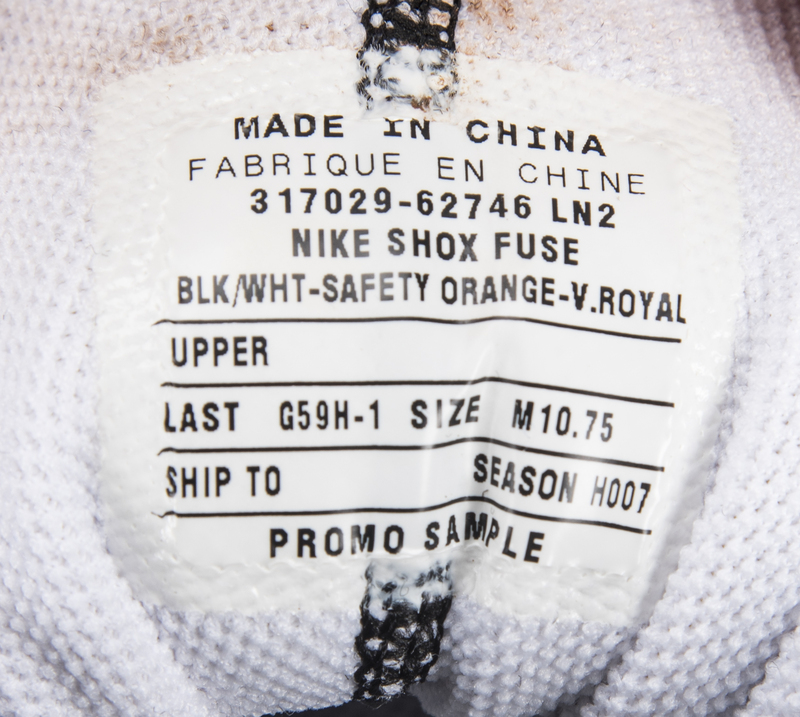 White and orange Nike swoosh logos are applied to each side of the shoe. “D-WRIGHT” is embroidered in blue letters on the outside of each foot. 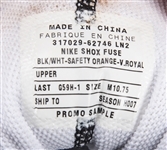 Four blue Nike shock absorbers are located on each heel. 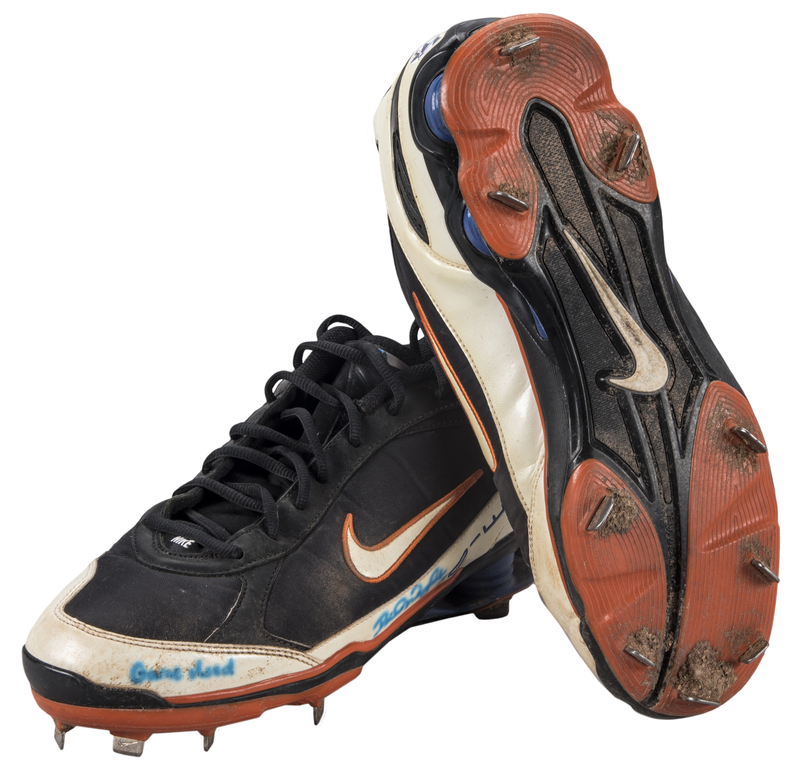 Nine metal spikes are present on the bottom of each size 10.75 cleat. 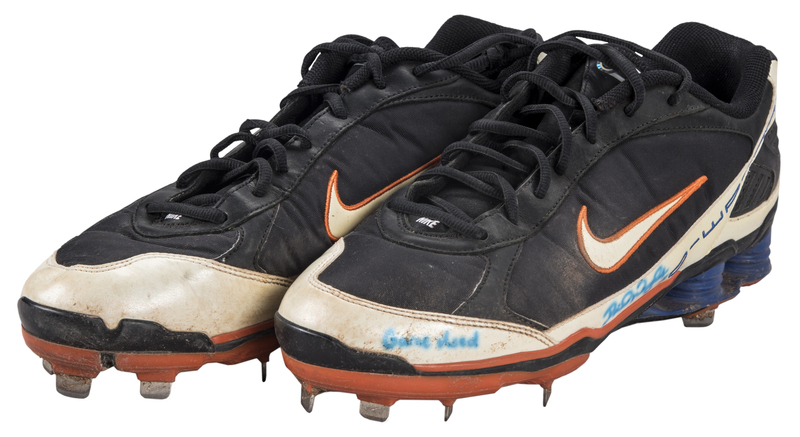 Wright has signed the outside of each shoe in blue marker, inscribing “Game Used” in addition to each signature. Please note that the signatures display minor bleeding. Each shoe comes with a MLB Authenticated hologram (LH 049876, LH 049877) and a COA from Beckett Authentication Services (F63912, F63913).